Truck Repair is truly a family affair with 11 Mile Truck Frame & Axle. 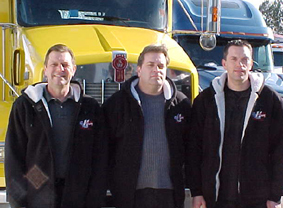 When you first meet owners Ken, Mike and Rick, you will be struck by a sense of integrity that is refreshingly genuine. Together with other family members, 11 Mile Truck’s unpretentious approach to truck repair has a tendency to bring you into their family and gives you a sense of their personal investment in your vehicle. 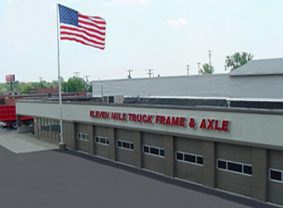 Over 40 years ago, their father Milo Krstich had a vision, he first started with the successful Northeast Truck & Trailer Repair, then in 1980 Milo purchased 11 Mile Truck Frame & Axle from Ralph Bryson, one of the founding fathers of TARA, and merged the two companies together. With Milo’s stature and intelligence he was reluctant to let go of the reigns, but has since left it to his accomplished sons. 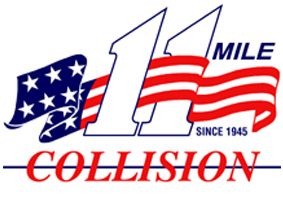 11 Mile Truck is a full service repair facility specializing in heavy collision repair. While quality is what we pride ourselves on, we are equally concerned with “downtime”. Our vast experience and array of modern equipment allows us to repair light, medium & heavy duty trucks, dump trailers, cranes, booms, and other specialized equipment. Our facility is equipped to do the complete repair to your vehicle under one roof at our 50,000 square feet enclosed service area located on 4 acres of land. Also known as Eleven Mile Collision in the car industry, our name has been recognized for quality repairs since 1945. We are the preferred repair facility for several insurance companies to help expedite your claim. 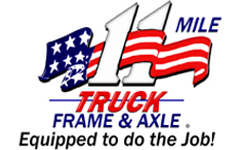 While doing a minor repair or a major roll over repair, 11 Mile Truck is the preferred source and we are EQUIPPED TO DO THE JOB!